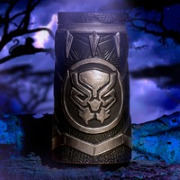 14k white gold plated and black enamel The Lion King bangle. 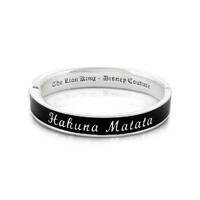 Bangle features inspirational quote ‘Hakuna Matata’. Inside diameter of ‘oval shaped’ bangle 6cm x 5cm.